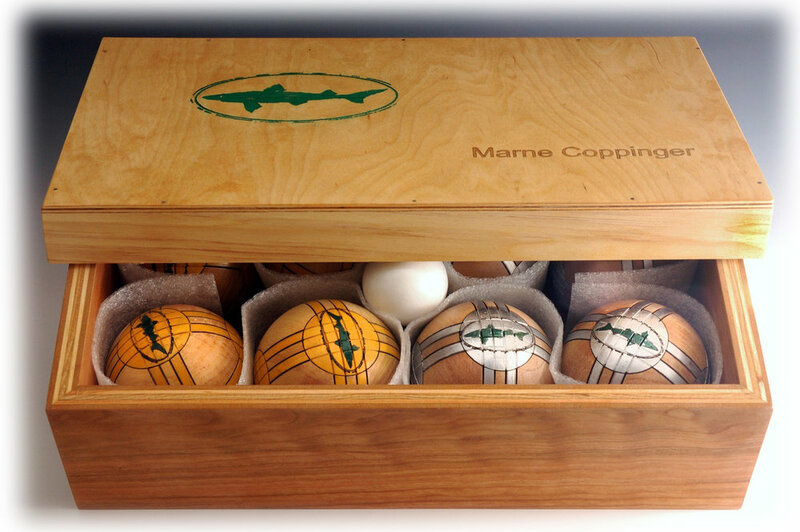 These are hand turned balls. Eight four inch bocci with a two inch pallino and a wooden case. 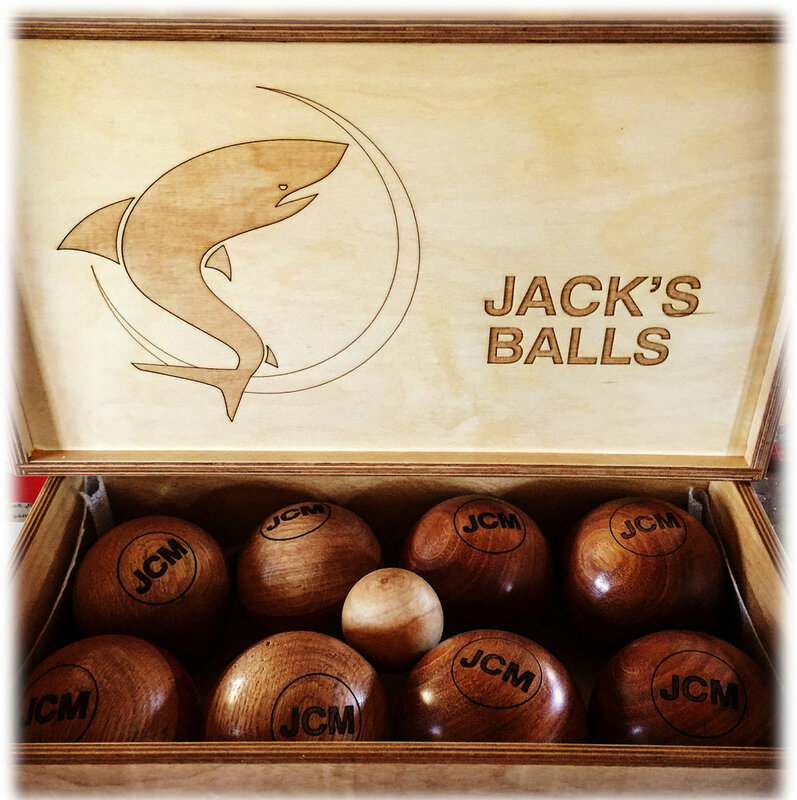 Both the balls and the case can be engraved as you wish. They can be done with solid, contrasting color woods, or with two woods forming a bi-color ball, or with one wood and stripes to distinguish them. If you choose striping, it can be either the traditional double-stripe or can be a more unique design. Look through the examples to whet your appetite, and when you have an idea of what you want, fill out the form and let's get started on designing, pricing, and making your idea real.